It’s never too early to start planning for Christmas. HomeArticleRestaurants It’s never too early to start planning for Christmas. What’s on your Christmas wish list? Over here at Qraved Journal, our wish list is always the same: good food, good friends, and good times — and we want to give the same to you! We can’t do anything about your friends, but we know where all of the good food is, and where’s there’s good f ood, there’s most definitely good times. Throughout this holiday month, we’ll be sharing all of our favorite Christmas and New Year’s events with you and, of course!, you can book them all right here on Qraved. 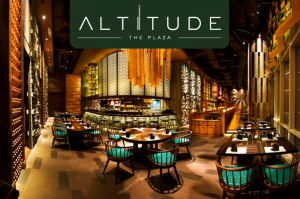 With their amazing Christmas Eve set menus, Altitude at The Plaza is going to make you wish Christmas would come three times this year. We can’t decide which one of the Christmas dinners we want to book. …Would it be excessive to try and eat at all three? 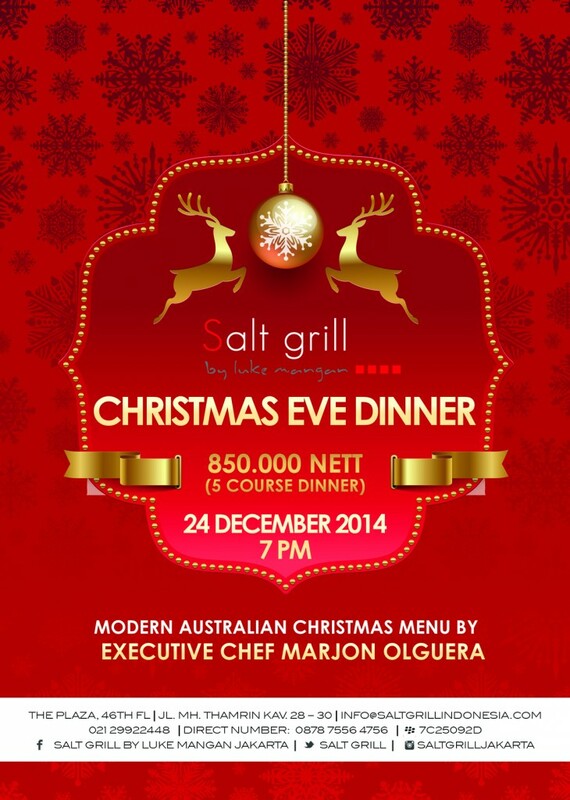 At Salt grill, executive chef Marjon Olguera will be cooking up a five-course modern Australian Christmas Eve dinner for only Rp. 850.000,- per person. 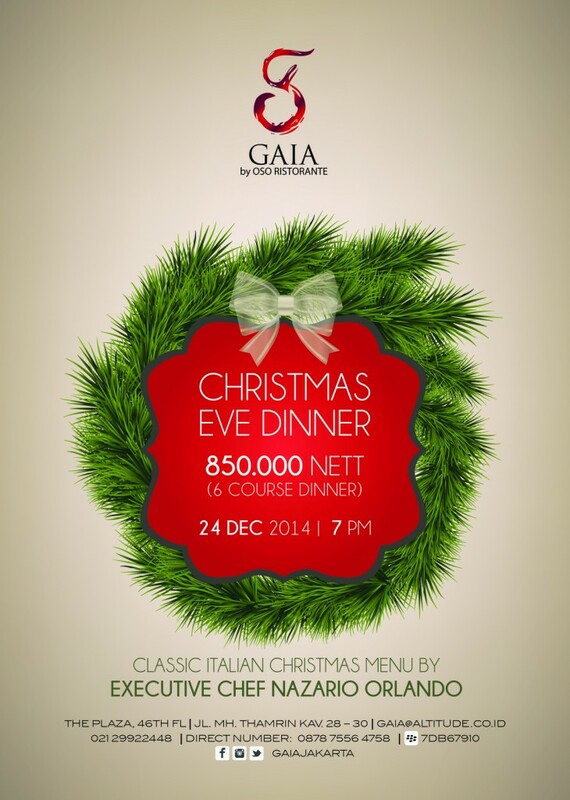 At GAIA, executive chef Nazario Orlando has prepared a classic six-course Italian Christmas Even feast for only Rp. 850.000,- per person. 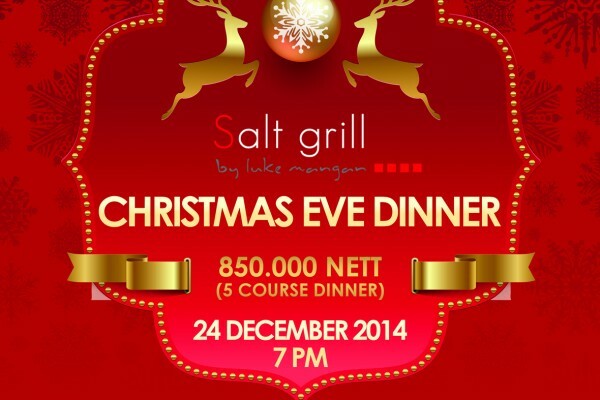 At Enmaru, they’ve created a five course Japanese Christmas Eve dinner for only Rp. 650.000,- per person. A relaxed Christmas brunch more your style? Enmaru, GAIA, and Salt grill will also host special Christmas Day brunches, featuring a live performance by the Fortunate Kids Choir. Get your seats booked today, Qravers, because these dinners are going to sell out. Merry Christmas! The post It’s never too early to start planning for Christmas. appeared first on Qraved Journal.